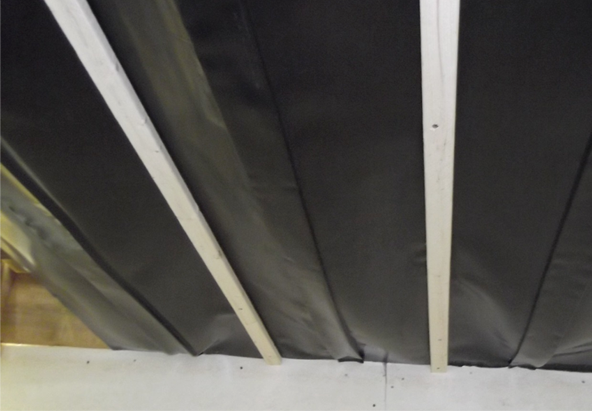 - Limitation: will not protect joist structure so as on top of the joists installation. 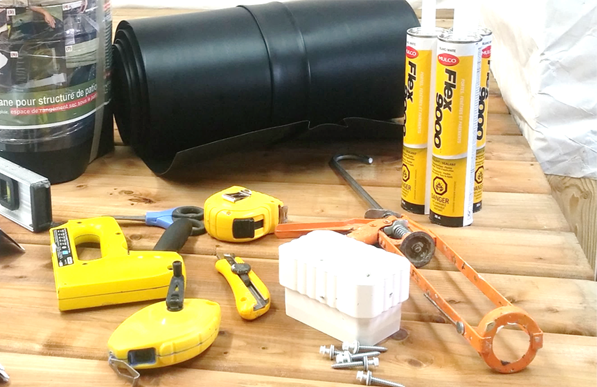 Deck Membrane roll, window caulking, plastic run-out or run-out connector, neophrene washer roof screw, stapler, level, scisor, knife, caulking gun. If joist are leveled you will need to slope these by adjusting posts or adding a strip ( composite wood ) under each joist, such strip trimed to get proper slope. Proper drainage slope is between 1/8'' per foot (1%) and 1/4'' per foot (2%). 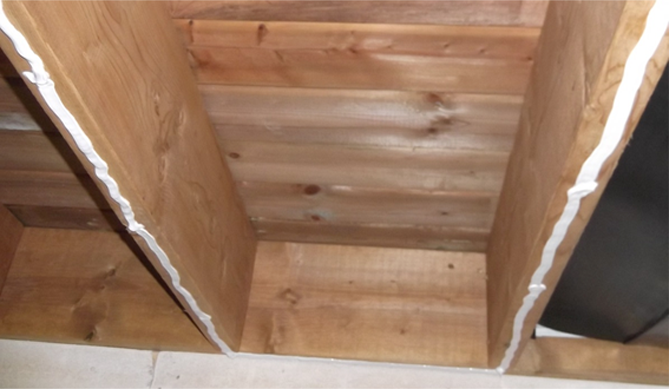 Then add a thick caulking strip under each joist so as under ledger board and rim joist. Cut a piece of membrane at the desired length (to cover joist + ledger board + rim joist). 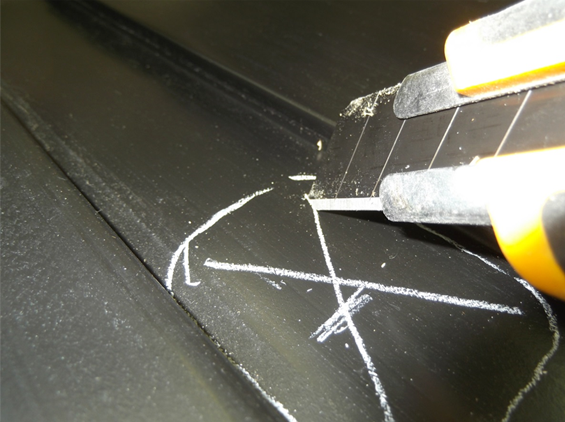 Install the plastic gutter run-out, start by making an X cut (make sure to not over cut). 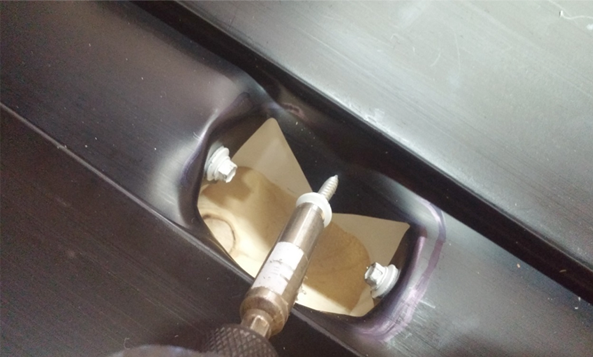 Secure the plastic gutter run-out to the membrane with 4 neophrene washer roof screws. 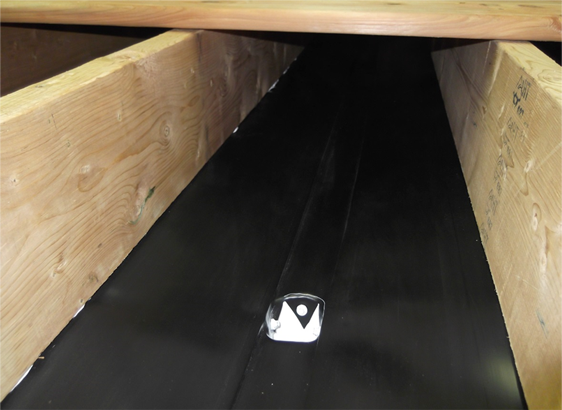 We suggest to install the gutter run-out between 10'' to 16'' from rim joist. Staple the membrane under the joists, the Z folds are in closed position against the ledger boards and under the rim joist. 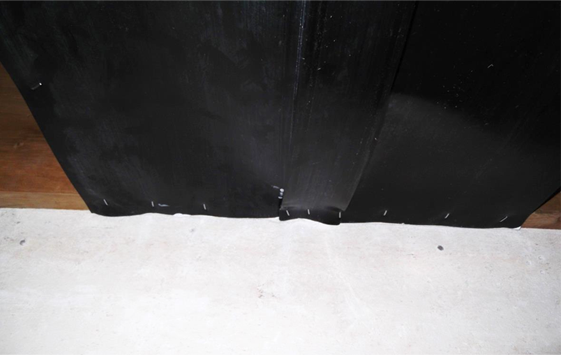 Add a 1'' x 2'' plank screwed every 10'' over each membrane joint to support potential membrane load (water, debris, ice…) or under high wind conditions. To reduce leaks coming around screws make sure to have these thru caulking strip. 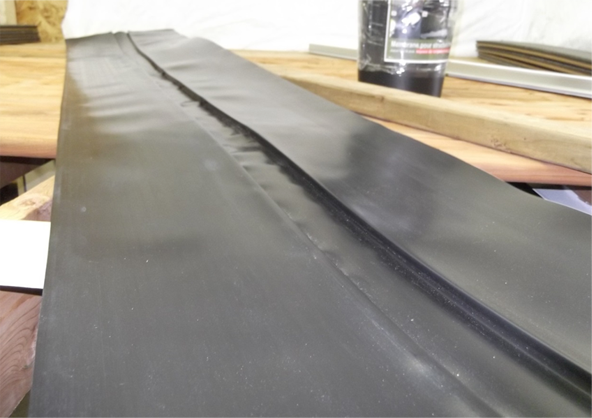 We pulled out some deck boards to show a top view of the drain membrane in place. The Goberco team has been involved in the building industry for three generations (carpenters, civil engineers, contractors, promotor, building material development, marketing, housing as well as heavy civil works).